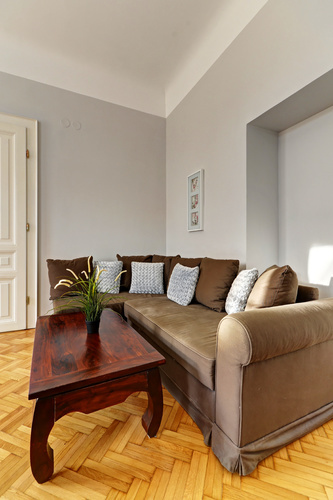 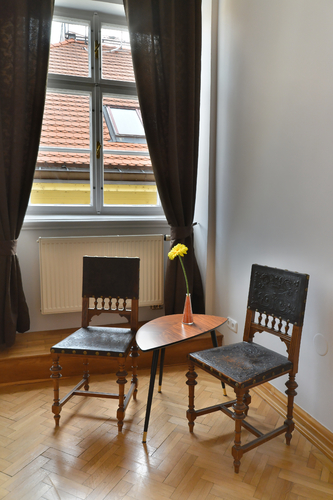 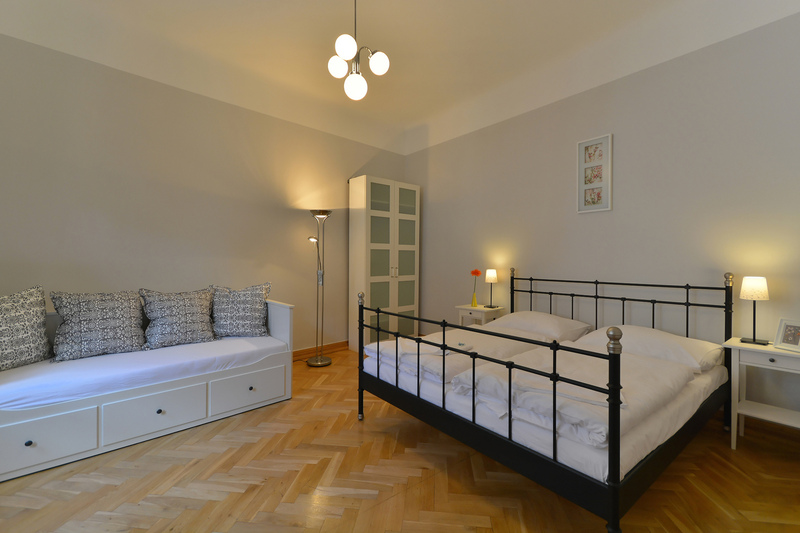 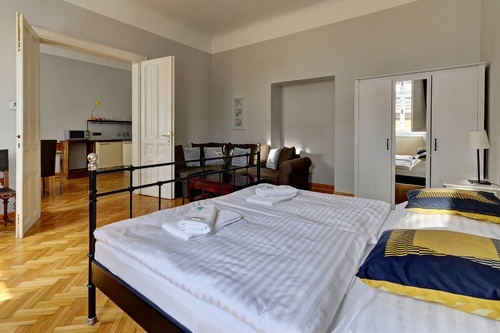 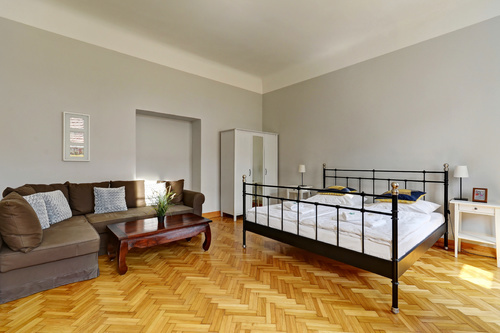 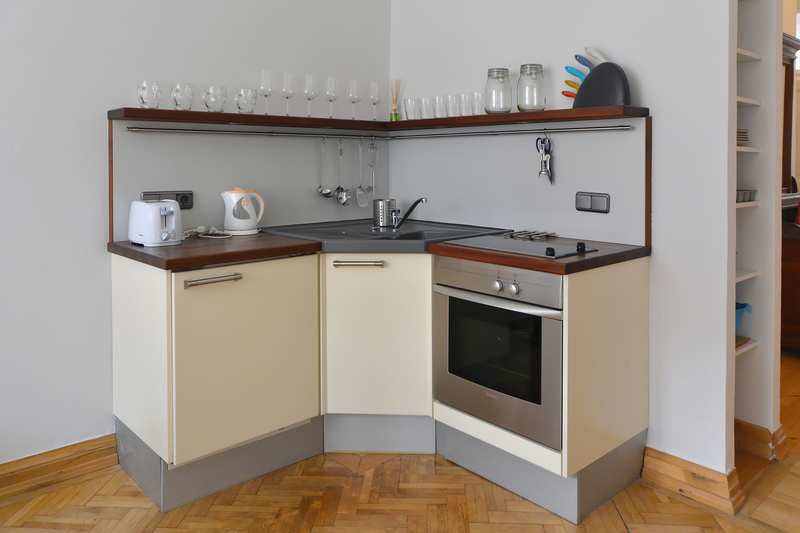 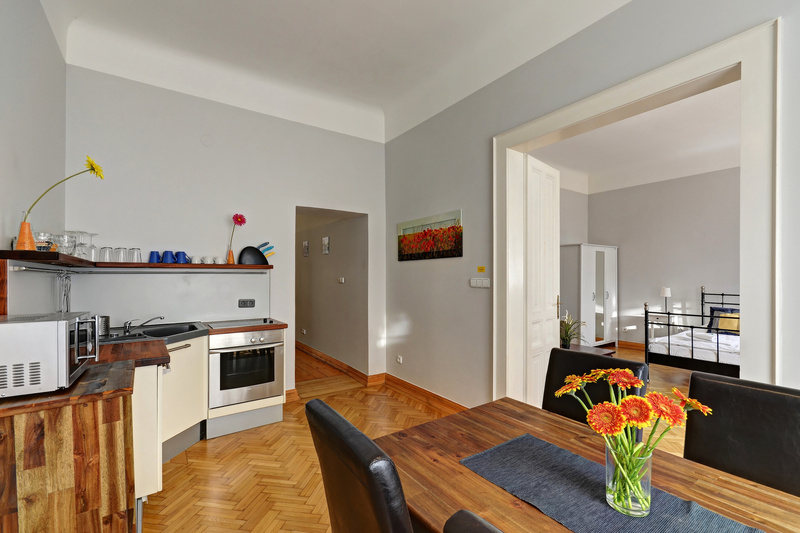 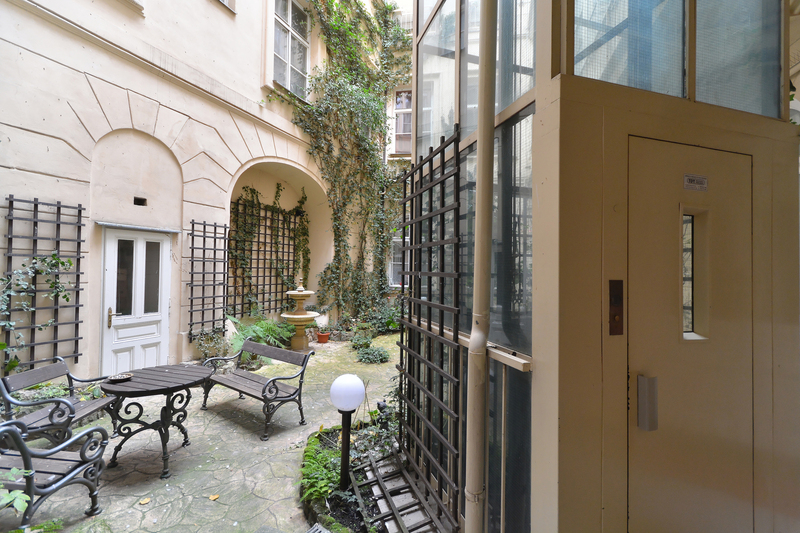 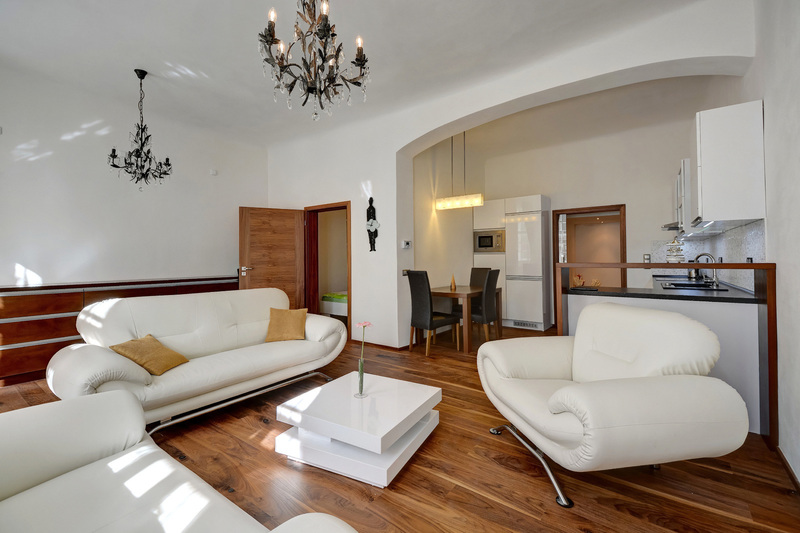 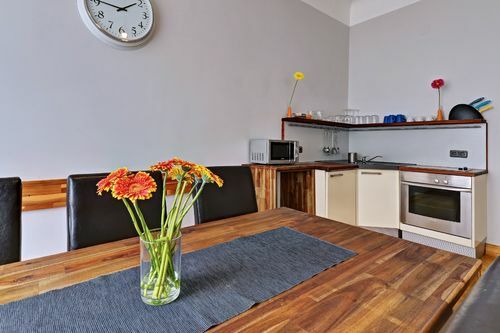 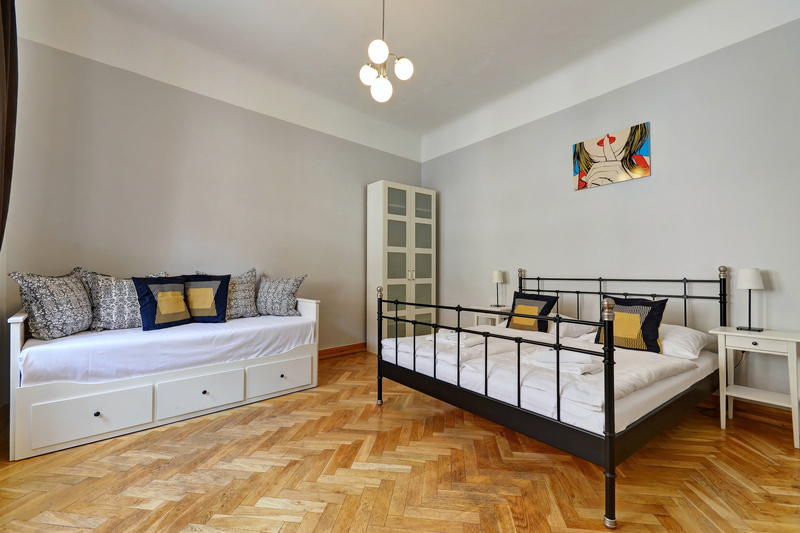 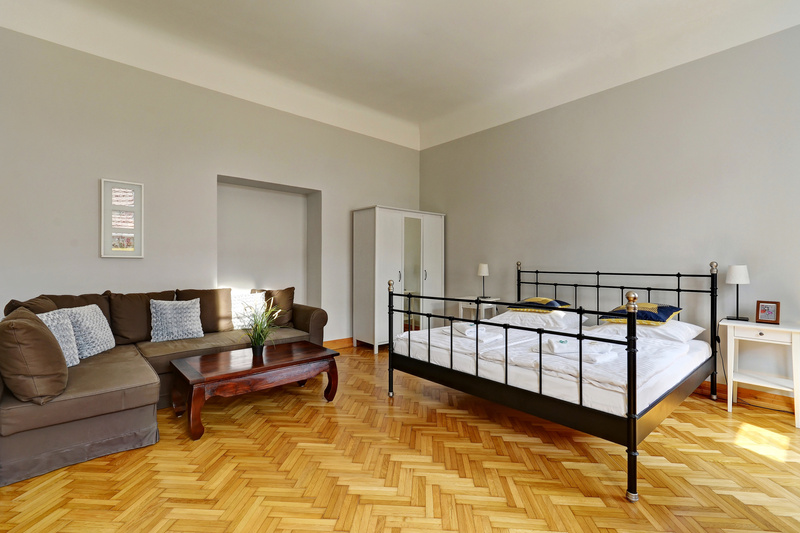 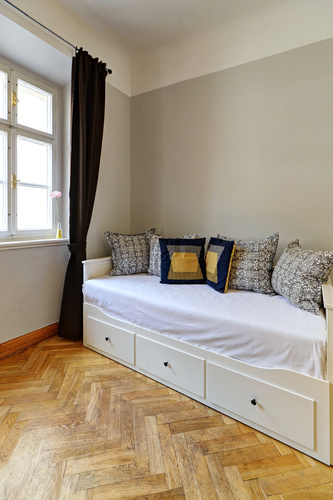 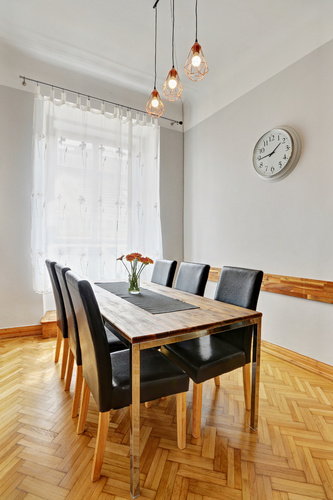 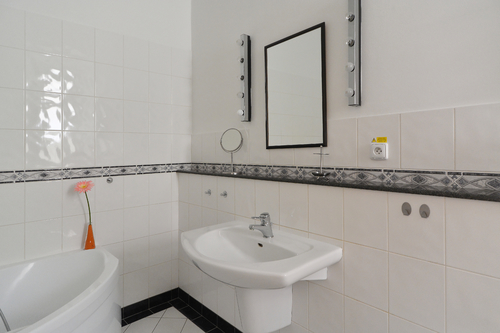 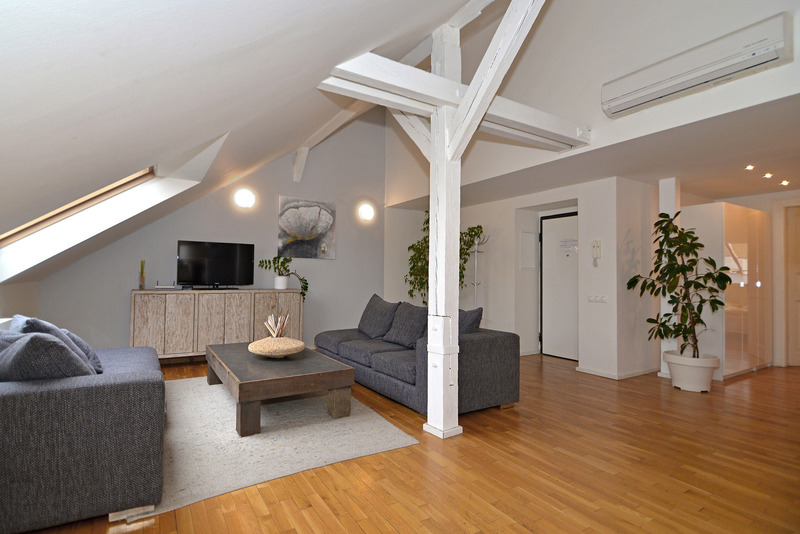 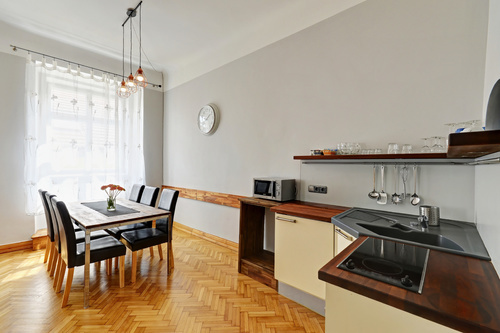 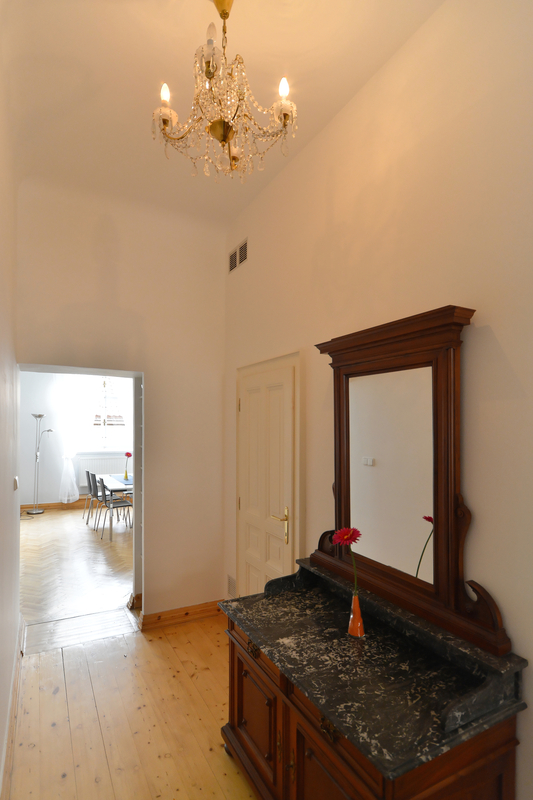 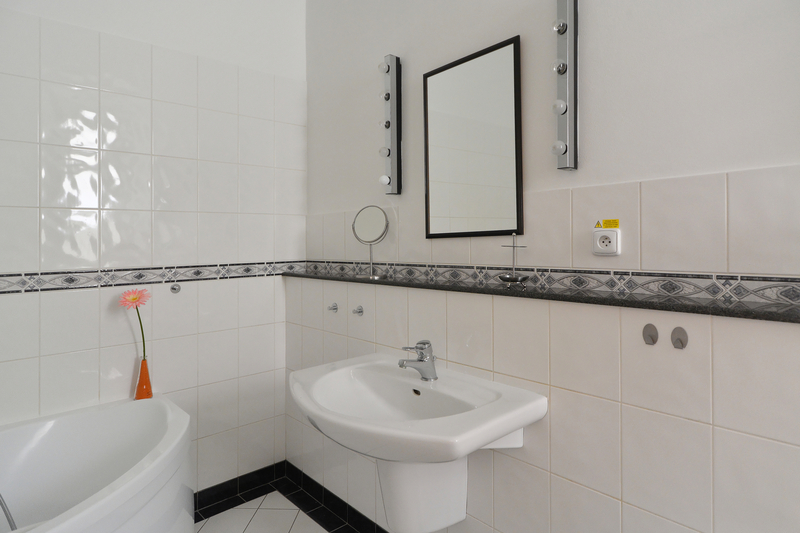 A fully furnished, two-bedroom apartment is available for you on the third floor of a house opposite the Charles Bridge, within a 7 minute walk from Prague Castle and a 5 minute walk from the Old Town Square. 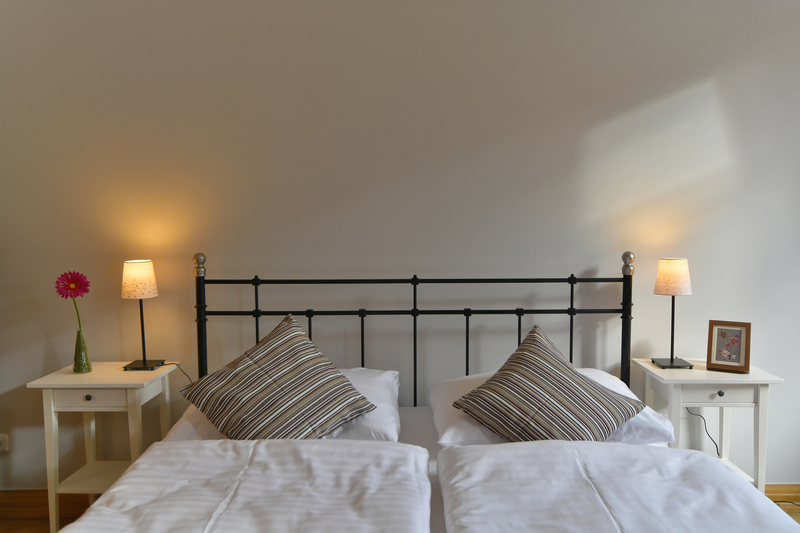 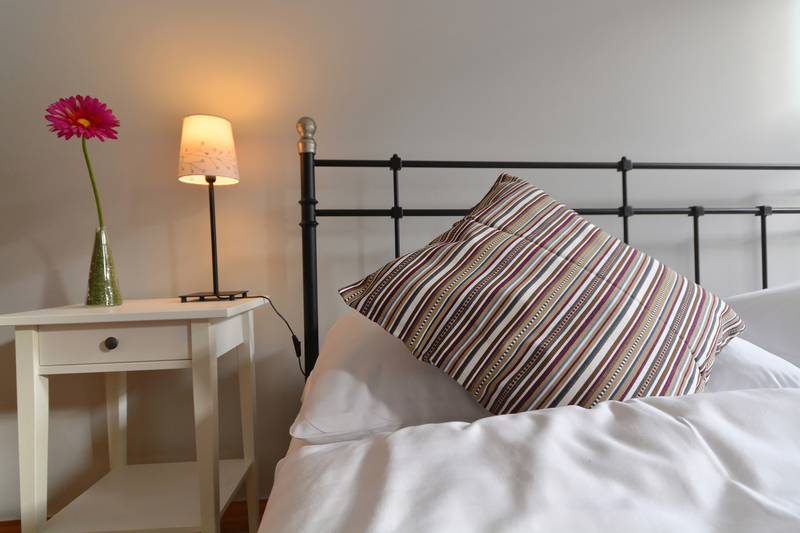 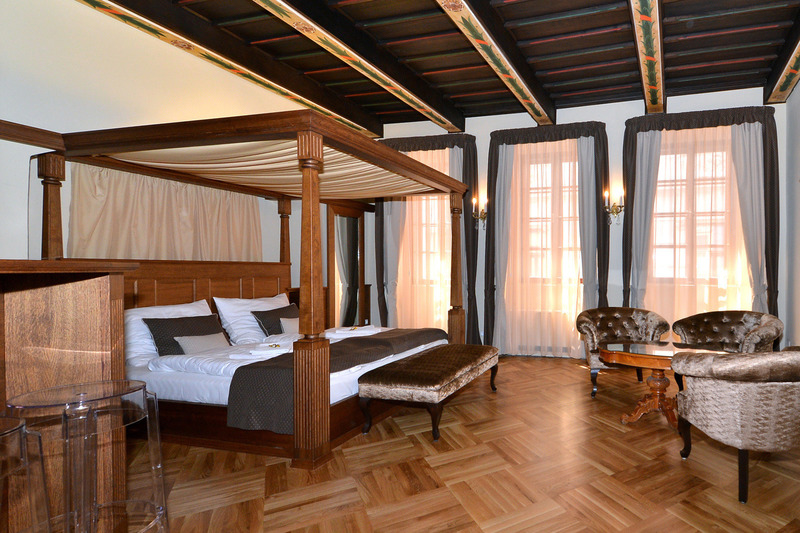 Both bedrooms are furnished with double beds and fold out sofas for 2 more people. The apartment can accommodate up to 8 people. In the kitchen, you can use a cooking plate, oven, fridge and a table for 6 people. 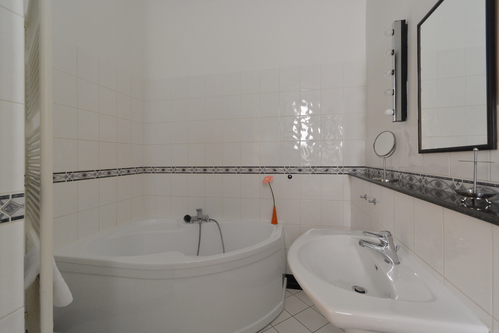 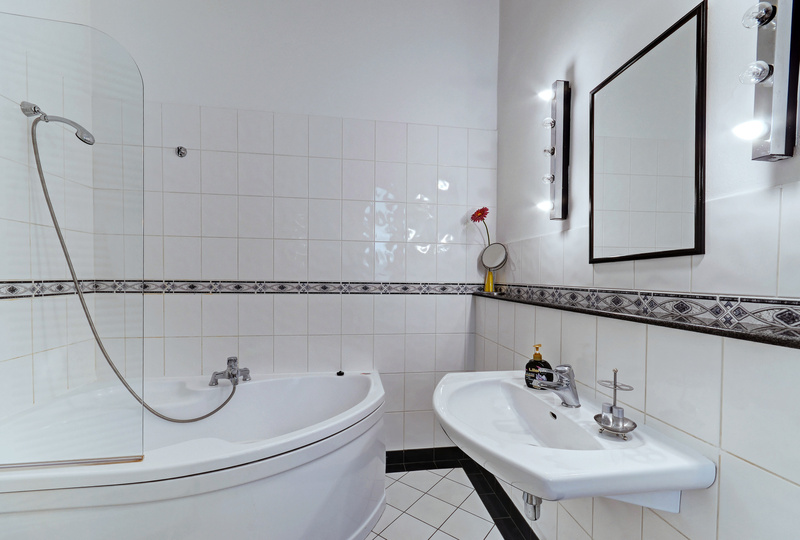 In the bathroom, there is a corner bathtub, toilet and a bidet.